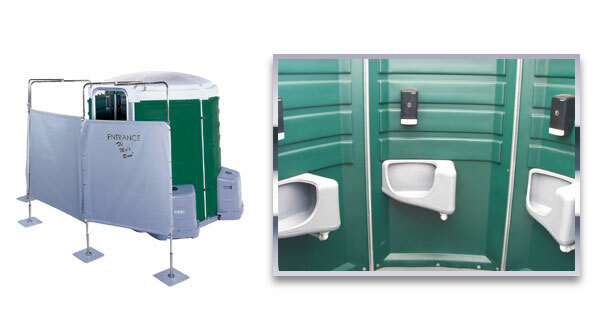 The multiple-user men’s portable restroom is perfect for large crowd functions. Spacious interior with five single-user urinals. Hexagon-shaped unit for privacy and optimal traffic flow. Privacy carrier with entrance/exit signs plus space for signage. Lightweight exterior-mounted individual holding tanks allow servicing while unit is in use.